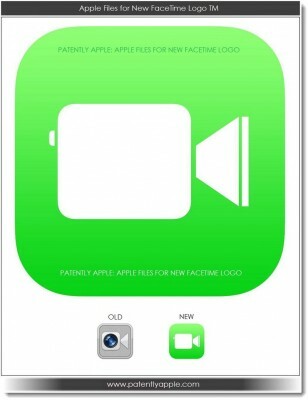 PatentlyApple reports that Apple has filed a trademark for its new green FaceTime icon that debuted with iOS 7. Earlier this week Apple filed a trademark application for their redesigned "FaceTime" icon under number 85968558. This is likely to be the beginning of many trademark filings to follow to cover the other new icons. The trademark filing likely indicates that this icon is set for iOS 7 and won't change.